Rooted in the context of Brooklyn and inspired by the prototypical New York courtyard residential block, THE PERCH creates a 60,000 seat stadium while providing 3,064 affordable units. THE PERCH extends the primary streets of Williamsburg across twelve blocks, which anchor the stadium for ideal pedestrian circulation and optimal orientation, as recommended by FIFA guidelines. Each block is calibrated to augment views for tiered stands around an elevated soccer pitch. The rooftops of each building are designed to include a concourse, stadium seating, as well as lounges and media spaces. The residences range from three-story townhouses closest to the field to twelve-story apartment buildings at the perimeter. For both spectators and players alike, the voids between the blocks and the high rooftop seats offer intriguing framed views of neighborhood landmarks, the east river, and the Manhattan skyline. 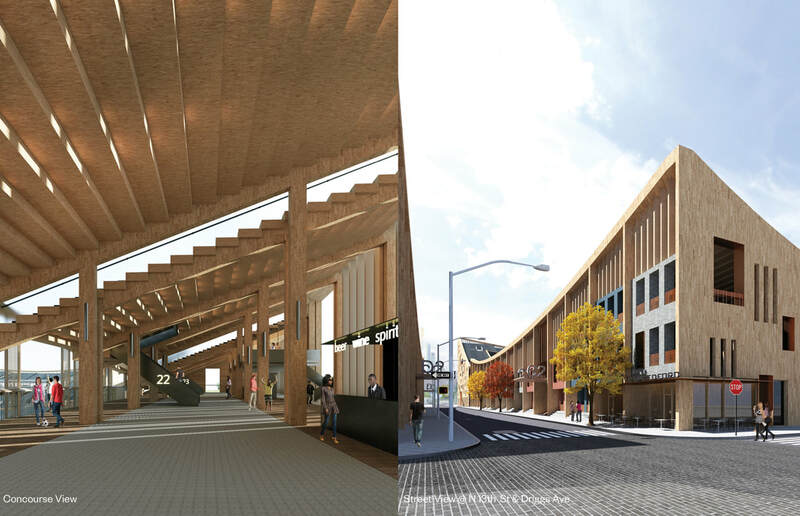 Structurally, the entire complex is conceived as a mass timber construction utilizing cross laminated timber as columns, beams, and floors. This results in a light weight building not only aesthetically pleasing but also adaptable to future changes and communal needs. 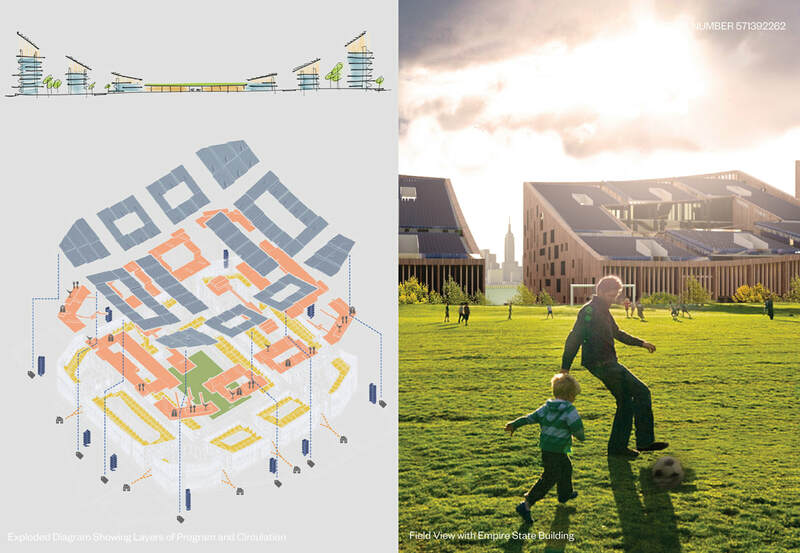 When the World Cup departs, THE PERCH is imagined to be used recreationally by neighboring residents and nearby schools; each rooftop can hold individual events such as theater performances and familial gatherings.